Park Forest, IL-(ENEWSPF)- This Park Forest burglary dispatch includes all reports through November 19, 2018, which also happens to be the date of the last burglary reported during that time period. We remind readers that “burglary season” is upon us. With packages arriving on doorsteps and others left in living rooms and dining rooms, burglars will be out and about looking to steal some of your holiday cheer. Don’t make it easy for them. Lock your car doors. Lock your homes. Remain vigilant in your neighborhoods and report any suspicious activity near your home or a neighbor’s to police immediately. The following is the most recent burglary dispatch for Park Forest. A gym bag and shoulder bag were reported stolen from a vehicle parked in the 200 block of Lee Street on October 26. The owner said she normally locks her vehicle but it was possible that the vehicle was left unlocked. She went outside to her vehicle at approximately 12:15 PM and noticed that the rear passenger side door was wide open. She drove to the Park Forest Police Department to report the burglary. Police saw no signs of forced entry. Specific items reported stolen inside the bags were credit cards, a driver’s license, athletic shoes, and an identification card. 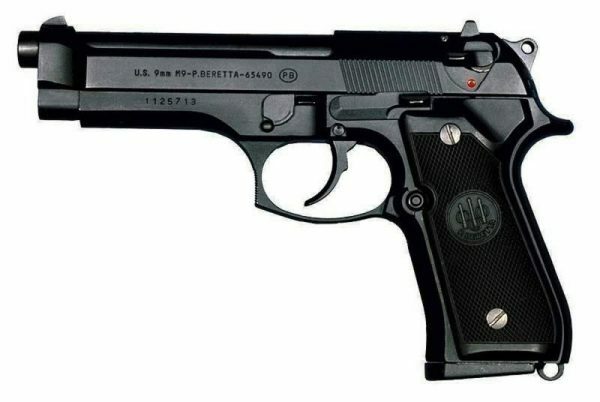 A black Beretta semi-automatic pistol loaded with the magazine that contained six rounds of ammunition was reported stolen from a residence in the 100 block of Blackhawk Drive on October 29. The resident left home at noon to go to work and when he returned after 11 PM he saw that an air purifier, which is usually next to his bed, was on its side on the bedroom floor. After further investigation, he observed several pairs of issues on the floor that appeared to have mud on top of them as though they had been stepped on. He also observed a small smudge of mud right below his bedroom window and became suspicious that someone may have come through the bedroom window and gone through his belongings. Detectives have suspect information and are investigating. The door of an unattached garage of a residence in the 400 block of Sandberg Street was reported kicked in on October 29. An air compressor, valued at $200; a Dewalt air blowervalued at $150; a Stihl brand large orange chainsaw valued at $500; a Robi brand lue miter saw valued at $150; an Unk brandblack pressure washer valued at $500; and an Unk model white space heater valued at $500 were reported stolen from the detached garage of a residence in the first block of Monee Road on November 8. A vehicle parked in the 100 block of Larue Street was reported to have been ransacked sometime between 6:30 PM on November 8 and 7:46 AM on November 9. Nothing was reported stolen. Police believe the vehicle was left unlocked. A second unlocked vehicle at that address was reported burglarized and a wallet was stolen from the second vehicle, according to police. A wallet and approximately $15 in loose change were reported stolen from a vehicle parked in the 200 block of Illinois Street on November 9. Police believe the vehicle had been left unlocked. A gold diamond ring with the two carat center stone and 1 carat of diamonds encircling the stone and four other rings valued at $10,000 total were reported stolen from the bedroom of a residence in the 200 block of Berry Street on November 12. Reported stolen from a spare bedroom were 10 to 15 men’s wristwatches valued at $10,000, a black jewelry box containing various earrings valued at approximately $1500, a silver-colored jewelry box with various pieces of jewelry valued at approximately $3000, and other items of jewelry. Other items reported stolen include three Sony MP3 players valued at $2000; approximately 20 boxes of .308 caliber ammunition, 20 rounds per box; approximately 20 boxes of .223 caliber ammunition, 20 rounds per box; approximately six boxes of .38 caliber ammunition, 50 rounds per box; and approximately 10 boxes of .380 caliber ammunition, 50 rounds per box. The total value of the ammunition reported stolen is estimated at $1500. The owner reported that no firearms were present in the home during the time of the burglary. A door of the residence might have been left unlocked, according to the owner. A wallet and $100 cash were reported stolen from an unlocked vehicle parked in the 200 block of Minocqua Street on November 19. A wallet, air fresheners, and spare change were reported stolen from a vehicle parked in the 200 block of Mantua Street on November 19. The owner discovered the burglary in the morning before going to work but reported it after coming home from work. During the day, the owner called her bank and learned of two unauthorized transactions against her bank account totaling $395.15. The owner said she believed the vehicle was locked. A garage door opener was reported stolen from a vehicle parked in the first block of Apple Lane on November 19. The vehicle had been parked in the driveway on November 16 at approximately 6 PM. The resident noticed that the garage door opener was missing on November 19 at 7:15 AM but had to get to work and so did not report the burglary until she returned home from work. She also found a debit card on the ground near the rear driver’s side bumper of the vehicle. The card was frozen to the ground. The resident said that the card may have been on the ground for a while. She usually kept it inside the vehicle. There were no fraudulent charges to the debit card but she canceled the card and requested a new one, according to police. Erratum: We got a bit ahead of ourselves and tagged this one through November 19, 2019. We corrected the year.